SDI's practice spans from Washington and Boston, Bermuda and The Caribbean, SF/CA. See us at our Hopewell, NJ studio, Fretz (Subzero/Wolf) at The Philadelphia Navy Yard, and Merrick Construction in Little Silver, NJ. designing homes with heart + soul I believe every home deserves great style. I consider three things during the design consultation: aesthetic, functionality, and budget. Give me a call today! 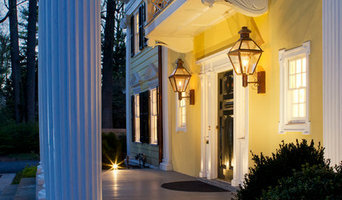 During the last 30 years they have worked on projects as diverse as restoring a cottage in Ireland, refurbishing a large London Georgian house and furnishing a ski chalet outside Geneva - as well as redesigning numerous principal and vacation homes in the United States, mainly in the Princeton area. Mary Dampier studied at the Fashion Institute of Technology and New York School of Interior Design and at Christie’s in New York. 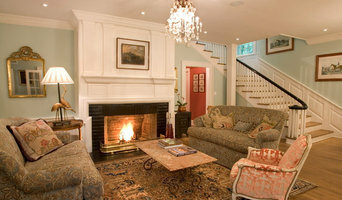 Tara Dennison has lived in Europe and the Far East and brings an “eclectic European feel ” to her design style. She recently received a diploma for garden design from the English Gardening School in Chelsea, London. Their team includes Paulina Brajczewska, a graduate of the New York School of Interior Design. 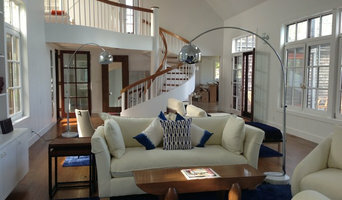 She specializes in house staging and organization. Her styling and organization skills have been acquired through years of experience. She loves creating clutter and stress free spaces for clients. Tara and Mary work together on all aspects of the design process. They "paint” a portrait of their clients, helping them clarify their own tastes. As Tara says, “a house needs to reflect the personalities and preferences of the people who live in it – not the vanities of the interior designers”. Mary adds, “We love to mix styles and periods adding energy and interest to a setting. Our goal is to make a home for “real life”, not a stage set. We create interiors that are timeless and comfortable.” They achieve this by having an unparalleled network of resources – whether it’s architects, builders, faux-finish painters, specialist showrooms, antique shops, furniture repairers or even flea markets. As one of their clients recently said “they know where to go for everything”. Allied with two pairs of very good eyes, Tara and Mary are able to obtain outstanding value for money for their clients.